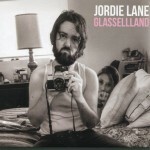 As one takes in these tracks, one might begin to wonder whether Jordie Lane is channeling Harry Nilsson. The words and sentiments are his own but the LA-based singer/songwriter’s vocal range and delivery, melodic instincts and even the occasional production antic bear a strong and quite appealing resemblance to that of the late, occasionally quirky pop master. That said, Mr. Lane is a formidable scene-setter all on his own as demonstrated with the deadpan posture of "Better Not Go Outside" and the enchanting “Black Diamond”. “Out Of State” and “America, Won’t You Make My Dreams Come True?” stand out as well. Airplay worthiness abounds on a best-of-the-year candidate.